Sometimes while I'm cleaning out my craftroom I take a second look at the "to go" pile and BAM a fun idea is born. This time it's butterfly nets for the dolls! 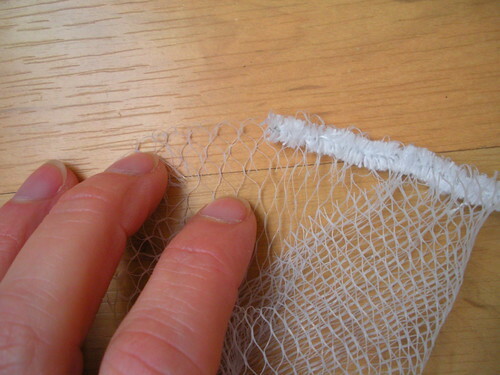 Step 1: Take the open end of your mesh bag and fold a 1/2" towards the inside. 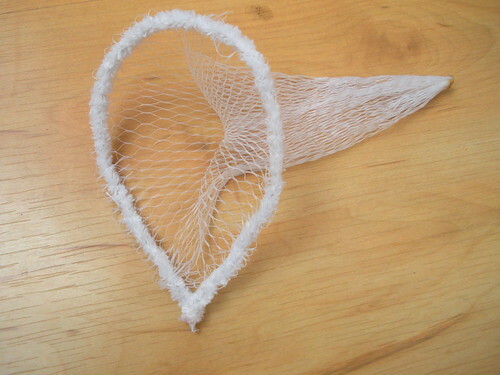 Then weave the pipe cleaner in and out of the loops all the way around the opening. 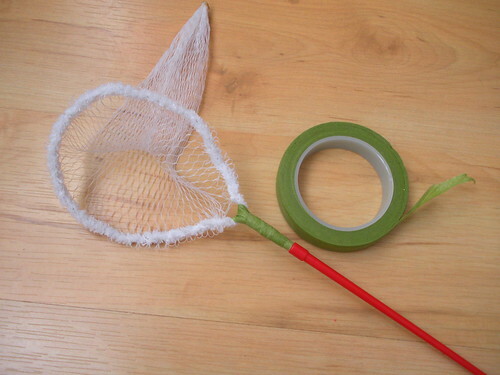 Step 2: Space the netting while shaping the wire into a balloon. Twist the ends together. 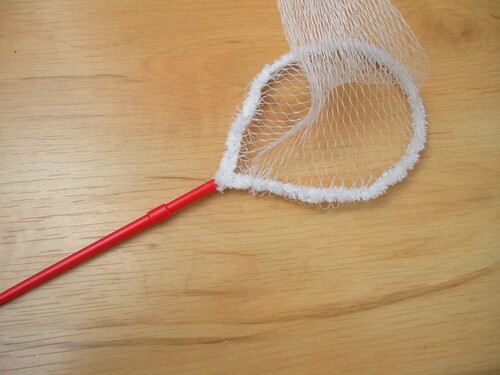 Snip off any extra wire. 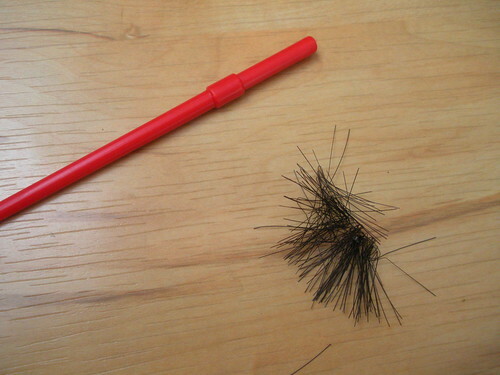 Step 3: Remove the bristles from your paint brush and throw them away. 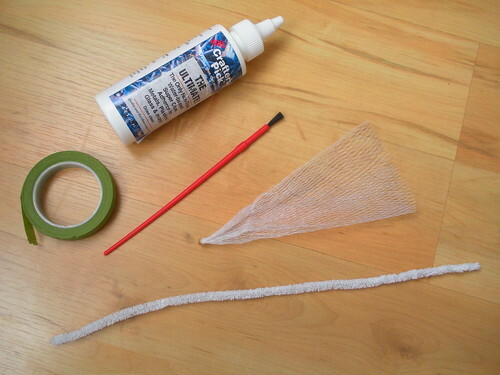 Step 4: Put a dab of glue into the hole of the paint brush and then insert the twisted wire ends. Do not worry if the wire does not fit securely. Step 5: Use the floral tape to wrap around the brush and over the wire to totally secure the net to the handle. 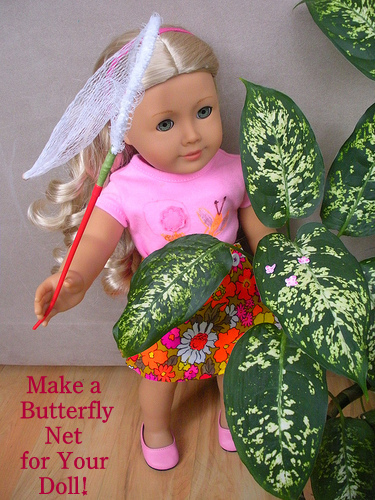 Step 6: Look for bugs and butterflies to catch!